A recent story about a shop closure due to pests. The story is from the Walsall Advertiser. A CONVENIENCE store in Walsall was temporarily closed down by environmental health officers after they found evidence of mice activity. Amid fears that mouse droppings found in food storage areas posed a serious risk to the public’s health, Warwaza Mini Market in Caldmore Green, Walsall was shut down last Monday afternoon (August 31). Environmental health officers at Walsall Council served a Hygiene Emergency Prohibition Notice on the owners and evidence gathered from the premises was presented at Walsall Magistrates Court on Thursday, September 3, where it was confirmed that the closure notice had been correctly served. The owners of the business were also ordered to pay £350 costs. Neil Harris, principal environmental health officer, said: “Rodents in any food premises is a serious issue. Mice spread germs which cause food poisoning as well as contaminating food with droppings and urine. “All food businesses must be on their guard or they will face closure and hefty fines if they are taken to court. “Food businesses shouldn’t wait until they see rodents in their businesses and should undertake regular checks under shelves and equipment to look for droppings, gnawed food and other signs of pest activity. “This is especially important as the weather gets colder and rodents look for places indoors to nest”. The premises remained closed for three days until officers were satisfied that the activity had been eradicated and the risk to customers had been removed. The store is now open once again and environmental health officers say the owners have co-operated fully with the council throughout the process. 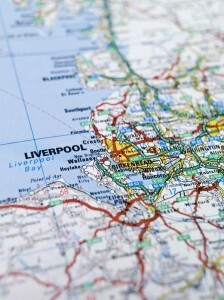 Great Value Pest Control in Liverpool and Merseyside.